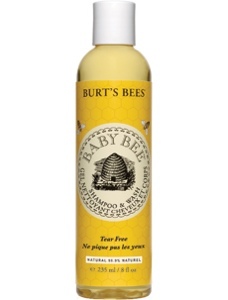 For the past 4+ months, we have tried two different baby baths - Buds organics and Burt's bees. So far both baths are really good. I do not think Baby has eczema though. He had a bad rash before until we stopped using the bath for a while and used air daun peria instead to treat his heat rash. We use this since Baby Iq was born. We even made the nurse used this when she taught us how to bath our baby. Hehe. I bought it from Peek-a-boo shop at Times Square for $18.90 (not available anymore!) Lucky we can also get it from Dotdotslittleshop (and thier resellers JPMC pharmacy and Lee Clinic) for $16.50 only! This bath last for about two months of usage. I like the smell of aloe vera and sugary (hehe sweet!) and it gives a lot of bubbles too. I think Baby Iq does not have sensitive skin so Im guessing any bath product should be okay to him. So what shall we try next? Hehe or should we choose between the two products above? Hmm..
NZT.2 the Limitless Pill developed by Paneuromix. The search for NZT-48. Here you can buy NZT.